Traditionally, science has regarded the universe as made up of inert matter and empty space. 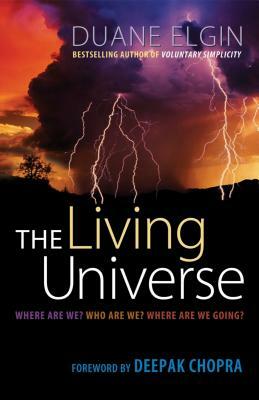 Duane Elgin brings together extraordinary evidence from cosmology, biology, and physics to show that the universe is not dead but rather uniquely alive, an insight that, he shows, is in harmony with all of the world’s major spiritual traditions. He explores how this view radically transforms our concept of ourselves, our place in the cosmos, and the evolutionary trajectory of the human family. The nonliving view of the universe has led to rampant materialism and global environmental degradation. To transform our planetary crises we need to move past a paradigm of separation and exploitation and learn to live sustainably on the Earth, in harmony with one another, and in communion with the living universe.